Hi, Guys, Please like, vote and comment on the world wide release of first chapter of debut Novel penned by Dr Niranjan Chavan "Love. Lost. Labor Ward" on the festive occasion of Diwali. Enjoy reading and please share. Dr Jack Mackenzie is the Head of the Department of Obstetrics & Gynecology and has a passion for academics, lectures, conference's and clinical operative work. Sometime's weird, off beat, but fun loving & very passionate about patient management and care, teaches all residents the nuances of gynecology. Nathan son of eminent cardiologist Dr John Carter joins residency program in obgyn to do his MD In a tertiary centre where he meets Kate Sanders. She is pretty, attractive and a girl from humble background. He gets attracted to Kate's simplicity and falls in love. Susan Patterson is heavily loaded, stylish and throws upon Nathan. Will Nathan get Kate? Will Susan be successful in wooing Nathan? Will Nathan tryst of love lost amidst pangs of labor ward and gynecological cases ever come true? Will he succeed in his career? Read the Novel "Love. Lost. Labor Ward" penned by Dr Niranjan Chavan. A Real life Professor in Obgyn. 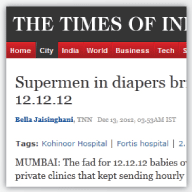 at Sion Hospital, India. He has written many textbooks, edited newsletters and published numerous videos on youtube and has got to his credit international and national awards for his work in Gynecologic Oncology, Obstetrics, Infertility and Endoscopy. Relive through him, a fascinating untold emotional journey of a budding gynecologist doing residency and the failures and success in love, labor and Life. 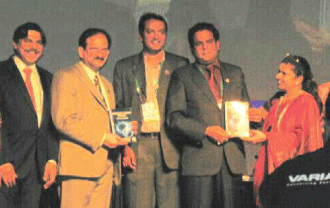 FOGSI TEXT BOOK "Gynecologic Oncology Simplified "- A practical approach released at All India Congress of Obgyn. Mumbai 2013 for FOGSI Members. I am M.D. FCPS, DGO. DFP. MICOG Unit Chief & Professor in the Dept. 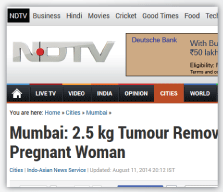 of Obstetrics & Gynaecology, Sion Hospital, Mumbai. I have taken training in Minimal Access Gyn. surgery at Royal Free Hospital, Hampstead, London (U.K.) and attended Karl Storz Endoscopy workshop Course conducted by Dr. Adam Magos in Sept. 2000. I am Consultant Gynecologist at the Sion Hospital one of the best reputed Hospital in Mumbai. 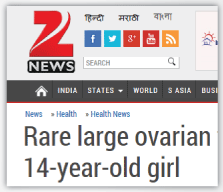 Also I have FIRST case reported in India and 10th in the World for Successfully Removing a 2.8 kg Largest Ovarian tumour in the category of Mucinous Cyst Adenoma (MCA) of the Ovary from a 14 years perimenarchal girl in January 2012. 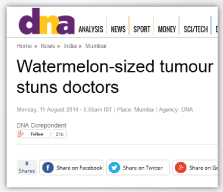 Presently I am National Chairperson of FOGSI Oncology & Trophoblastic, Tumours Committee (Jan 2012- Dec. 2014). Our goal is to spread the awareness of preventive oncology, screening of early cancer by pap smear, colposcopy and promotion of minimally invasive gynec. oncology including Robotic surgery to reduce incidence of women's cancer. 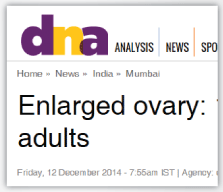 To conduct, organize CME, Workshops, seminars, training of FOGSIAN gynecologist at local societies all over India. 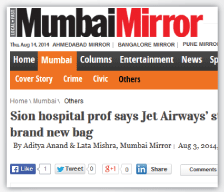 LTMMC & Sion Hospital, Mumbai. NaliniNarayan Sadan, Plot No.195 / 2B, J.P.Rd, Andheri (W), Mumbai - 400 053.